Hello everyone! So today I'm doing another blog update, as I mentioned in my last post. I really love the holiday season, and I want to do something to give back to my viewers. So throughout October 30th - October 31st, I'm going to do a few different "events" hosted on different social media accounts. If you don't follow me on all of them, no worries, I'll make a post here that will showcase pretty much everything. So what exactly am I going to be doing? 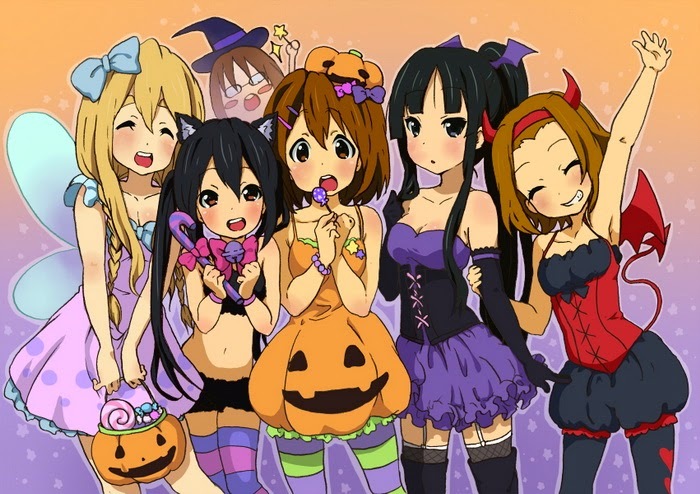 It's Halloween which is a holiday I love, and anime is something else that I really love. So why not combine the two? Instead of typing it all out in a boring fashion, how about a nice little graphic to sum things up? Apologies if the text is a little hard to read. I might pass around a simpler graphic later on! So as you can see, I've got things going on throughout every outlet. (Except Google Plus) So if you get the chance tune in to any one to see what's going on there, or if you're busy, just drop by afterwards, I'll make sure to do a post that collects everything together in one place. To elaborate a bit on each event I'll mention a few specific details right now. The Blogspot Wallpaper/Avatar pack will take place on Halloween, October 31st. I usually do wallpaper packs for different seasons or holidays, so of course I'd do one for Halloween. As usual, the images included will be perfect for all ages. No extremely scary stuff, and nothing too explicit. 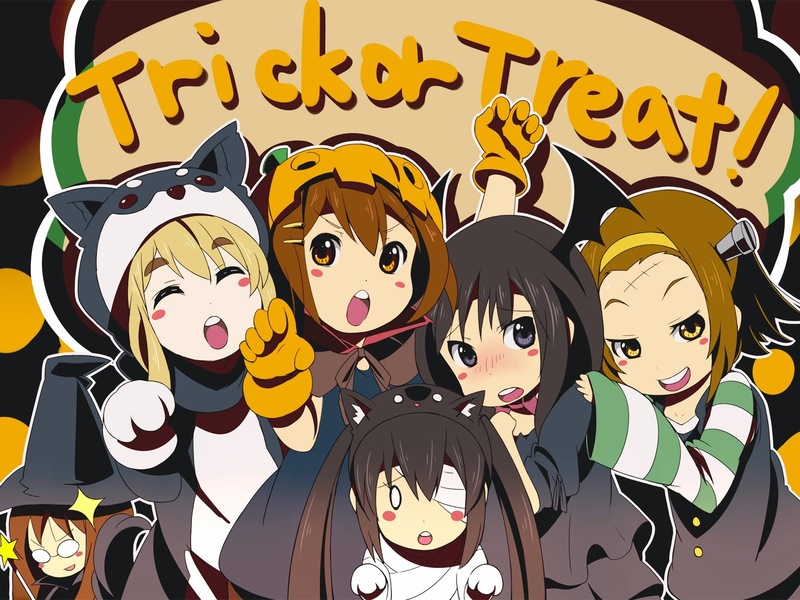 With Facebook, I haven't really decided exactly what will go on here, but I think I might be posting a few Halloween anime recommendations similar to my last post. I didn't get to go as in depth as I wanted, so this is the perfect chance. Expect to see a few other random things there! In regards to Tumblr; images, images, and more images. 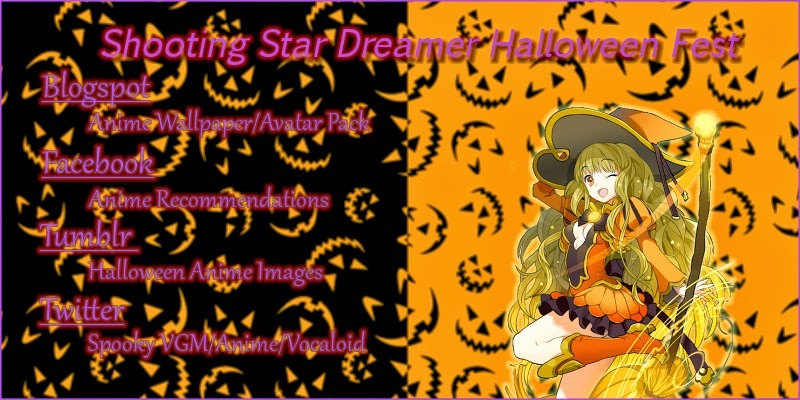 I've collected about 100 Halloween images of anime characters and the like. I plan on posting them in a group of 30 and 31 for their respect days. I'll probably announce this again on Tumblr before it starts rolling, so if you enjoy pictures, drop by! Last but not least, Twitter. I hinted this a little bit before, but I plan on focusing on the musical side of Halloween on here. This includes Spooky anime tracks, and video game music. I might throw a little Vocaloid into the mix. Again check out Twitter during the 31st if you're interested. That's all for now folks! So consider this my gift to you for Halloween, I hope you enjoy it! If there's something else you would like to see please let me know soon. I'll do my best to accommodate you! Like I've mentioned many times throughout this post, if you're busy don't worry. I'll compile a blog post that features everything that went on. So you can enjoy it even after Halloween is over.